PhytoRefresh by 4M products is a supplement which is designed to promote healthy skin, accompanied by great anti-aging benefits. It is plant derived and it said to be of great use when it comes to diminishing various aging signs on the skin. This skin care supplement was made quite popular when the great Dr. Oz, covered its benefits on his TV show. He emphasized on the need of taking 350 mg of Phytoceramides everyday as a way of fighting aging skin. If taken daily, it is said that this product will start showing results in about four weeks, although results are different from one individual to another. It is meant to do away with dull fine lines and wrinkles or any other aging factor that may appear on your body. You will look and obviously feel younger, taking years off your face and attaining a fresh new, youthful appearance. 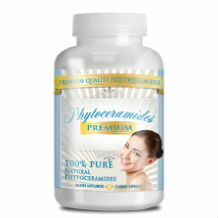 Dryness of the skin starts to get hydrated by the Phytoceramides. Hydration and moisture is restored, thus giving you a glowing effect which actually, looks healthier than ever before. It is a clinically proven fact that Phytoceramides are known to bind the skin so that the pores become smaller. Even Japanese Women can attest to this Phytoceramides phenomenon since they have been using it for centuries in their age defying endeavor. The only ingredient in the PhytoRefresh product is 350 mg of Phytoceramides. There is no indicated dosage for the product PhytoRefresh. The bottle contents are 30 capsules. Just like every other product, it is wise to consult your doctor first before purchasing this product. The lack of dosage stipulations is a bit worrisome. There are no indicated side effects on Amazon or anywhere on the internet. This is a product that can be bought without a prescription. It is sold on Amazon for the price of fifteen dollars and ninety nine cents for a 30 capsuled bottle. PhytoRefresh is sold only on Amazon. They have provided a number for customer service and there are a few testimonials for the product from various people. While all this is great, there is no mention of a guarantee about the product. I can see how a consumer could hesitate about this product. A manufacturer has the obligation to stand behind his product. There are no side effects nor are there dosage instructions for the product. To add on to that, there is no existence of any kind of guarantee. It is a product made famous and praised by Dr. Oz. It also has no dosage stipulations. Generally, people need instructions when consuming any kind of medication and in this case, any kind of supplements. 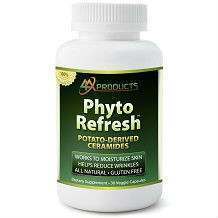 PhytoRefresh is not FDA approved and that would be indeed a plus for high quality assurance.